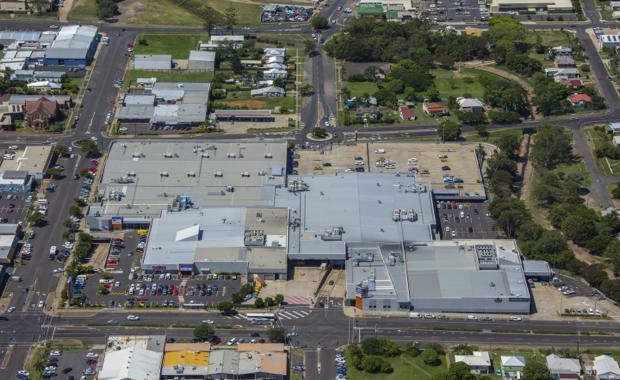 Bundaberg shopping centre, Hinkler Central, has been sold by Mirvac for $110 million to QIC, amidst unprecedented demand for sub-regional shopping centres. The quality asset drew strong interest from both local and international investors, resulting in a highly competitive sale process for the growing regional hub of Bundaberg. The sale was brokered by Lachlan MacGillivray and Stewart Gilchrist of Colliers International and Sam McVay and Dan McVay of McVay Real Estate. "The demand for quality sub-regional retail assets combined with the lack of product in 2015 will lead to further cap rate compression for quality centres like this," said Mr MacGillivray. "This modern, well-presented centre enjoys exceptional productivity with levels well above Urbis benchmarking, which proved highly attractive to investors. "In 2015 to date, only 6 sub-regional centres have transacted a total value of $570m, which points to a major undersupply of product. Investment activity in the sub-regional centre has been strong over the past few years with sales worth $2.24 billion from 24 transactions recorded in 2014; and sales worth $2.09 billion from 31 transactions in 2013. Sub-regional shopping centres accounted for 34% of all retail sales in 2014. [urbanRelatedPost][/urbanRelatedPost]"High quality sub-regional assets in Queensland rarely come on the market," said Sam McVay. "Only six such centres have traded in the sunshine state over the last two years, with only three of those offered in 2014. So a quality asset like Hinkler Central is always going to draw strong interest. "Hinkler Central is anchored by two major supermarkets and a discount department store, alongside over 75 other speciality stores and includes on-site parking for 1,070 vehicles.